What’s going on with dengue? Dengue virus (DENV) has been in the news a lot recently. The number of reported cases continues to climb year-on-year and 2019 has been especially bad. Rio de Janeiro has seen a 45% increase in dengue cases in the first two months of 2019 ; The number of Dengue cases reported in Malasia as of 2 March 2019 was 26,545 – 157% higher during the same period in 2018  – The list goes on. Dengue is now endemic in over 100 countries, with upwards of 400 million infections estimated each year and counting, making it the most dangerous and widespread mosquito-borne viral infection . Over half the world’s population now lives in areas at risk of dengue transmission . Compounded by the fact that there are no vaccines or therapeutics available for DENV, the burden of dengue is daunting. In this blog, we briefly discuss Dengue’s changing epidemiology, the major challenges to halting the spread of global infection and how our range of high-quality reagents can support your dengue research. Dengue is an old disease. The first Dengue epidemic was reported in the late 18th century, affecting Asia, Africa and North America, though reports of clinically compatible illness date as far back as 420 A.D. . From the late 18th to mid-20th century, DENV was characterised by relatively infrequent yet large epidemics. Following World War 2, disruption to local ecology and rapid urbanisation in Southeast Asia and the Pacific created the ideal conditions for the transmission of arboviruses . The lack of planning, poor housing, water and sewage management led to the co-circulation of multiple DENV serotypes (known as hyperendemicity) in Southeast Asian cities and epidemic Dengue Haemorrhagic Fever (DHF) . Over the decades, the region has become rife with dengue infection and according to a 2011 WHO report, is the leading cause of hospitalisation and death in children in Southeast Asia . Epidemiological changes in the Americas have been even more significant. During the mid-20th century, Dengue epidemics became rare as the primary mosquito vector, Aedes aegypti, was eradicated. However, the eradication programme was discontinued in the early 1970s, allowing Aedes aegypti to rapidly reinvade . By the 1980s, the Americas were experiencing major DENV epidemics in countries that had been free of the disease for decades. Like Southeast Asia, epidemic DHF soon followed . Dengue incidence in the Americas has increased nearly five-fold in the last three decades due to the complex interaction of several factors, including urbanisation, sub-standard living conditions, lack of vector control, poor public health programmes, international travel and changing climate . Epidemics in the Americas now occur cyclically, every three to five years. The Pan American Health Organization (PAHO) recently issued a warning for countries in the area to prepare for a rise in outbreaks this year . After taking a backseat for decades, the true magnitude of DENV has been acknowledged by policy makers and funding agencies, leading to concerted efforts to control the disease worldwide. Yet, despite much new information and a better understanding of Dengue’s transmission dynamics, the global situation continues to worsen. DENV epidemiology has continued to change drastically in recent years. Transmission is now occurring in areas where infection was absent or has never previously been documented. Before the 1970’s, only 9 countries had experienced severe Dengue epidemics. Dengue is now in over 100 countries, including Africa, the Americas, Eastern Mediterranean, South-East Asia and the Western Pacific. At the end of 2018, autochthonous cases of dengue appeared in Spain and France  and one of its vectors, Aedes albopictus spread even further to Eindhoven in the Netherlands . Areas of circulation are expanding for the range of DENV serotypes, largely due to warming climates, which allow Aedes to survive in temperate areas and facilitates viral replication, placing parts of Europe and North America at risk of local transmission. To further complicate the issue, co-circulation and frequent outbreaks from other Aedes-borne diseases, such as Chikungunya, Zika, West Nile and Yellow fever, further exacerbates public health challenges. Mild or non-symptomatic infections are also a significant source of transmission, shaping population patterns of immunity and the dynamics of its spread. The epidemiology and pathogenesis of Dengue remains a jigsaw puzzle, with many pieces still missing. Despite drastic improvements, further global collaboration is needed to understand and prevent the disease. To control disease spread, the main preventative strategies are vector control and vaccination. Vector control comprises a substantial portion of dengue’s financial burden – making such measures unnattractive to developing economies in the tropics – and has showed limited effectiveness . Vaccination also presents significant challenges. The first vaccine licensed for Dengue, a live attenuated vaccine called Dengvaxia® (CYD-TDV), has proved safe and effective in seropositive people but increases the risk of Severe Dengue in seronegative individuals. Though Dengvaxia has been approved in 20 countries, its utility is limited due to these safety issues. Therefore, in order to mitigate patient risk, the World Health Organisation (WHO) recommends pre-vaccine serological screening to ensure that only seropositive patients are vaccinated with Dengvaxia. Given the limitations of Dengvaxia, there is a real need for alternative vaccines that are safe and effective across a wider patient population. Unfortunately, no other vaccine options are currently available, though promising new candidates are now in Phase 3 clinical trials. For new vaccine candidates to be successful, they must be safe in both seropositive and seronegative individuals and should protect against all four serotypes of Dengue. Considering the serious human health risks and the profound socioeconomic impact of the disease, there is an urgent need for academics and researchers in the biotechnology and pharmaceutical industries to work towards more effective means of preventing its proliferation. To develop new vaccine and diagnostic solutions, researchers need access to highly specific viral antigens and antibodies. 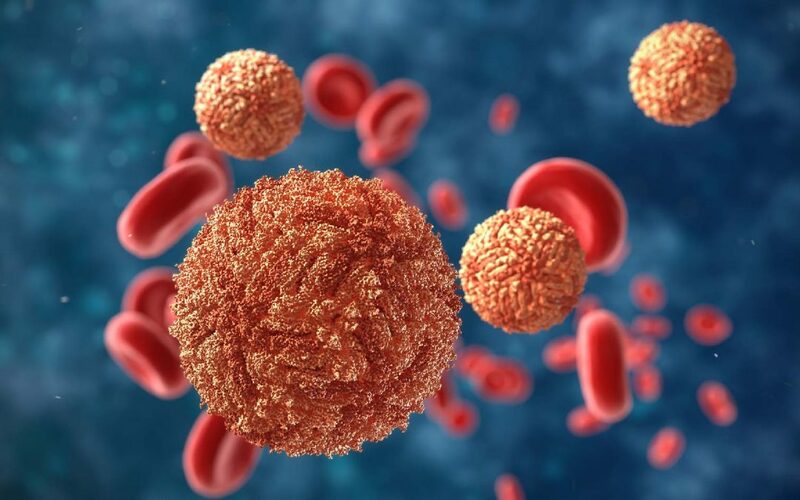 To support ongoing research into the development of vaccines and therapeutics against DENV, the Native Antigen Company has developed recombinant Dengue proteins that are highly representative of native viral proteins. Produced by human cells, these proteins are fully glycosylated, naturally folded and assembled, and have the same binding activity as the native proteins – making them ideal for use in your research and vaccine development studies. This unique expression system has been used to develop a range of cutting-edge products, including the world’s first mammalian expressed Dengue NS1 proteins. Also available are recombinant Envelope proteins and virus-like particles (VLPs). These recombinant protein products have also been utilised as immunogens to prepare a new range of Dengue-specifi antibodies. These proteins and highly specific antibodies have the potential to help academics and biotechnology/pharmaceutical companies drive forward research and development, ultimately bringing more tests and vaccines to clinical use.